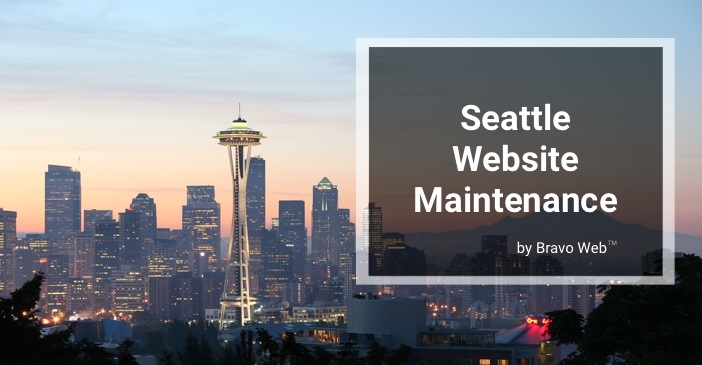 Seattle Wordpress Website Maintenance - Drupal website maintenance too! It seems that anyone can create a website these days, but can just anyone create results? Your site is live now, but who is making sure it continues to live in web searches? As owning a website becomes more routine for businesses, it becomes more imperative to stay relevant and be seen. A set-it-and-forget-it approach will simply not do, as users become more discerning web consumers. Imagine you walk into a diner. The stand of dusty newspapers are dated from two years ago. As you try to order off the menu, your server -a dancing baby animated-gif- tells you they are out of nearly everything you ask for. Half the people walking in the front door turn around and walk out as they are forced to watch an ad for timeshares before they can be seated. A man who writes city guides observes the behavior of the customers from a distance and decides to delist the restaurant. You can think of Google and other search engines as automated, macro reflections of consumer tastes, trends and perceptions, and because a search company itself wants to retrieve the best sites, search results are often culled based on what their crawlers predict will produce a solid web experience. At Bravo Web, we use tools like Google Analytics and Webmaster Tools to help keep your site in optimal standing in search results, as well as keep up with the latest web standards, security patches and updates to the software that runs your website, as neglect can leave you vulnerable to hackers and negatively impact search rankings. At Bravo Web, we have 15 years of experience in web development, <u><a href="/maintenance">website maintenance and SEO</a></u>. Our affordable services can you help you maintain and update your site, leading to faster downloads, more signups, better search results, and more relevant traffic. Our locations in Eugene and Portland do not limit us to the Willamette Valley; we take customers from around the country, and we are currently looking to expand website maintenance in Seattle area, bringing you excellent results from Portland’s burgeoning tech scene at a more affordable price. We are here to help you maintain a web presence that reflects the personal investment you have in your own company. Why not Contact Us today?